The Dover Amish settlement, founded in 1915, lies to the west of the city. 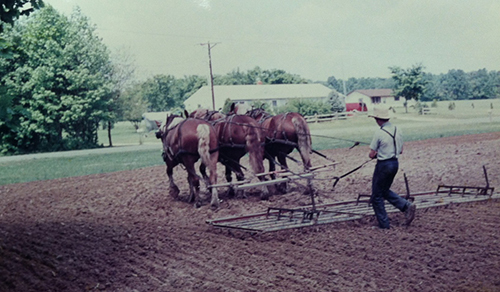 The Dover community was settled by Pennsylvania, Kansas, Ohio, and Michigan Amish. Today Dover consists of 9 church districts.